If you haven’t heard, Small Business Saturday is a promotion American Express runs every year where they give statement credits on purchases made at small businesses. For example, last year’s Small Business Saturday offer was a $10 statement credit after a $10 purchase. The year before that it was a $25 statement credit after a $25 purchase. 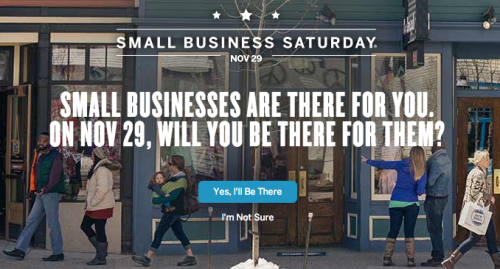 This year they are offering the best Small Business Saturday yet – Three $10 statement credits after spending $10 per Amex card. FrequentMiler wrote a great post on maximizing SBS this year, so I’m not even going to bother writing one up. This post is simply a reminder that registration for Small Business Saturday opens up at 12:00am MST (2:00am EST). It’s important to register for this promotion early, because there is a registration limit.